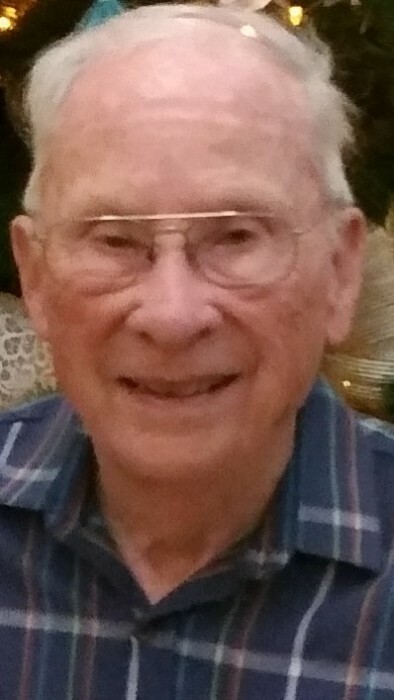 James William “Bill” Steen, age 84, of Manteno, passed away on Wednesday, January 30, 2019 in Clermont, FL. He was born on September 12, 1934, the son of the late Gustav William and Sarah (Powell) Steen. He married Dona Mae Condon on March 26, 1955. He was a graduate of Peotone High School and the University of Illinois Champaign-Urbana. He worked 25 years for Bayer Pharmaceutical as Production Manager and researcher. He enjoyed bicycling, exploring Disney World, and puttering with cars. He was a lifetime member of Wilton Center Federated Church where he served as a Sunday School teacher, board member and youth leader. He served on the Kankakee Salvation Army Board and organized many Bayer Pharmaceutical retiree reunions. Bill is survived by his loving wife of 63 years, Dona Mae Steen; his children, Robert (Sue) Steen of Appleton, WI, Patricia (Larry) Christiansen of Peotone, Dale (Nikki) Steen of Manhattan, IL, and Phil Scavo of Bourbonnais, IL; his grandchildren, Kristine, Erin, David, Jill, Laura, Devin, Adam, and Brendan; and his great-grandchildren, Justin, Kaytlyn, Olivia, Juliette, Jonah, Levi, and Oliver. He was preceded in death by his parents and 2 brothers, Bobbie and Richard Steen. A celebration of life will be held at the Wilton Center Federated Church, 14101 W. Joliet Rd., Manhattan, IL on Saturday, March 16 with a casual memorial gathering from 9:00 a.m.-11:00 a.m. and a memorial service at 11:00 a.m., Pastor Rich DeVries officiating. A lunch will be served at the church fellowship hall immediately following services. Private inurnment services will take place at Wilton Center Cemetery. In lieu of flowers, memorial gifts may be directed to the family’s wishes.